This is a map of the small town of Griffinton, in Khalanaar's Borderland's region. 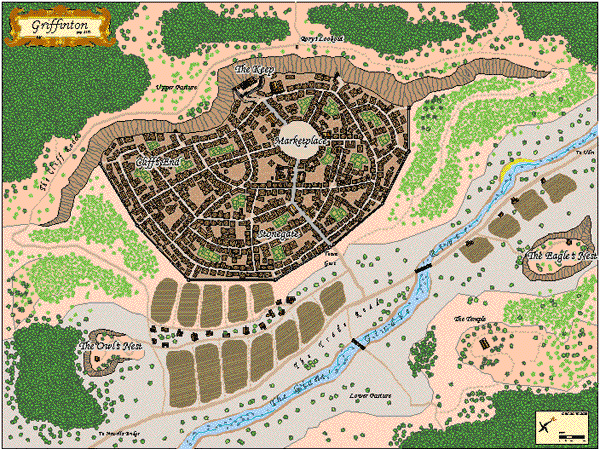 This map was developed as a substitute for the town of Blasingdell noted in the "Forge of Fury" module published by Wizards of the Coast. However it is an original map. NOTE: This CC2 map requires you have the MHCP pallete installed.